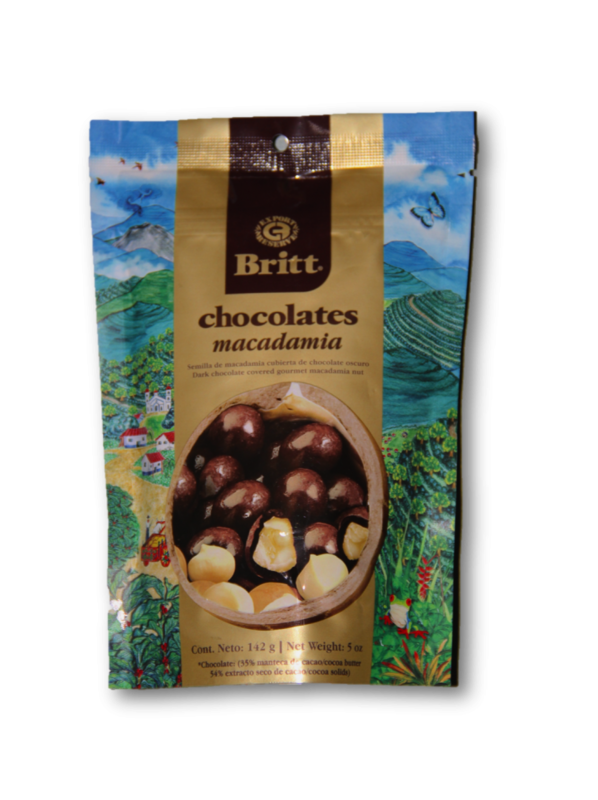 The golden sun and wild scenery of Costa Rica has inspired Britt to create this exquisite combination of fresh golden pineapple jelly and smooth dark gourmet chocolate. 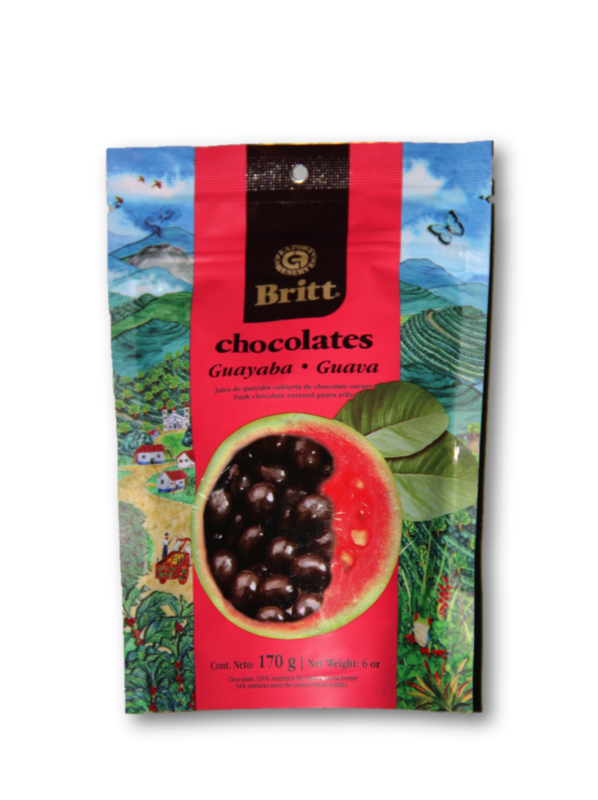 The result is an irresistible flavor with a tropical tang that celebrates nature at its best! 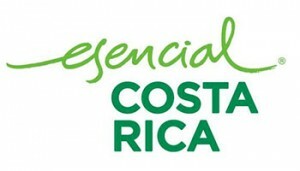 Pineapples are one of Costa Rica’s most popular exports and a favorite fruit among locals. 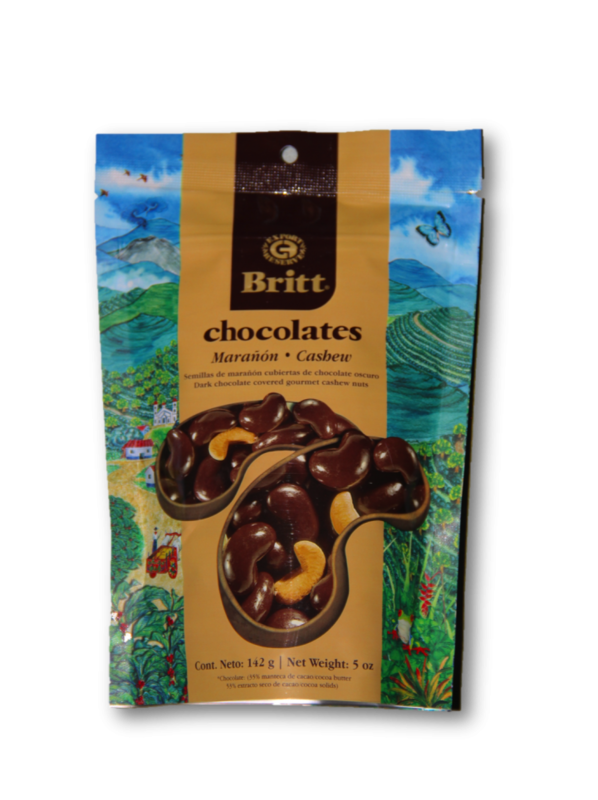 Our Dark Chocolate Covered Pineapple pieces blend the tangy sweetness of pineapple with smooth dark chocolate making it an authentic Costa Rican treat. 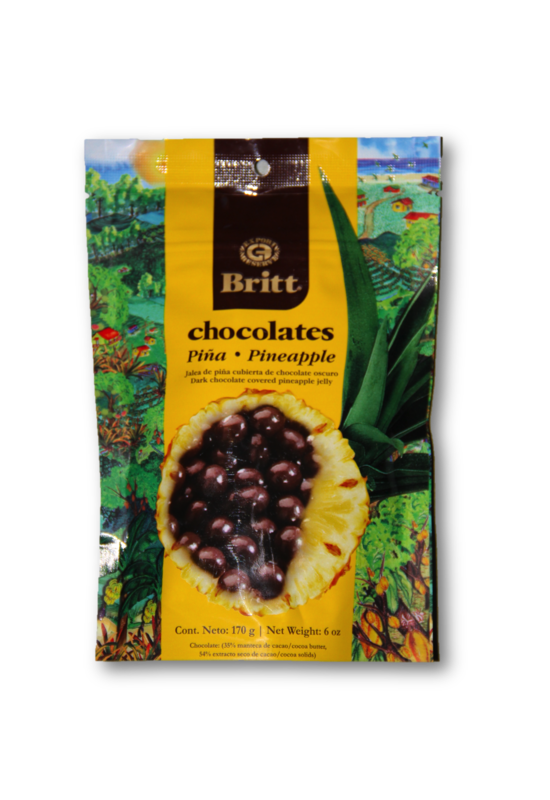 Pineapple and dark chocolate complement each other remarkably well due to the citrusy acidity found in pineapples which balances well with the texture and consistency of dark chocolate. Because pineapple is naturally acidic and flavorful, we don’t have to add any artificial flavorings to try to enhance the flavor. 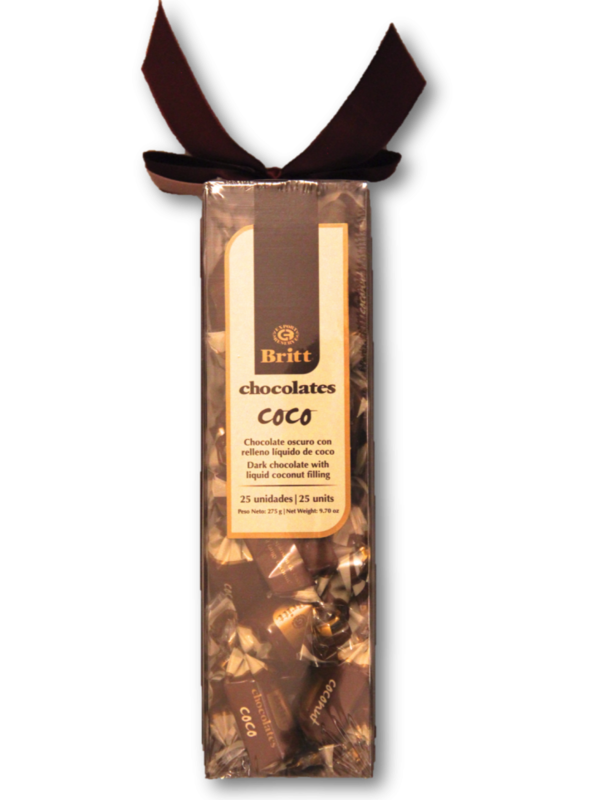 We simply add a dash of sugar to the fruit pulp and cover it in our gourmet dark chocolate. 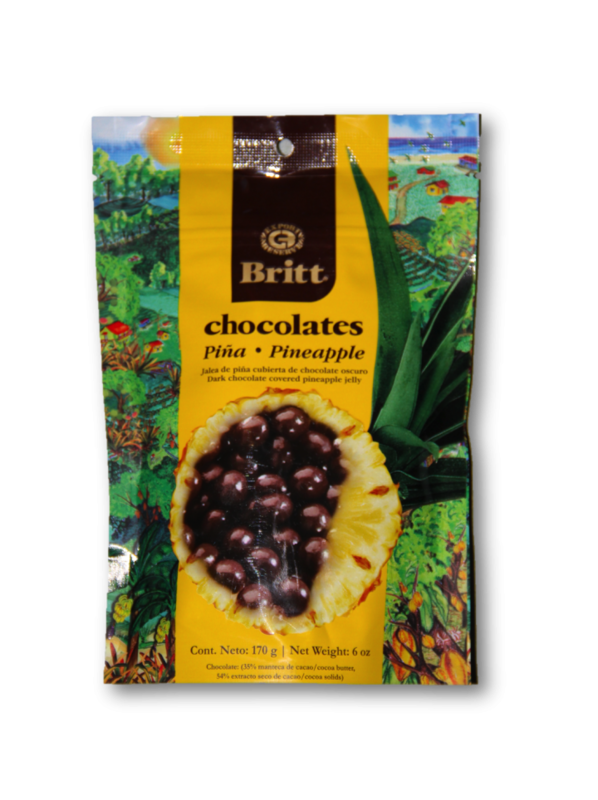 The resulting bite-sized treat is the perfect balance of juicy pineapple and smooth dark chocolate.